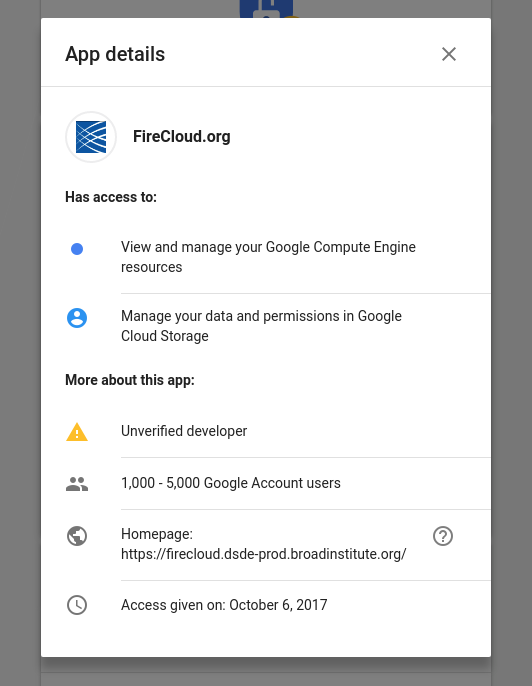 Google has just warned me about FireCloud being an unverified developer therefore incurs a security risk for my google account. I guess broad should straighten this up with google. I just moved your question to the FireCloud forum where Kate can help you. Thank you for your report. Could you tell me a bit about what you are doing to get that screenshot you took? 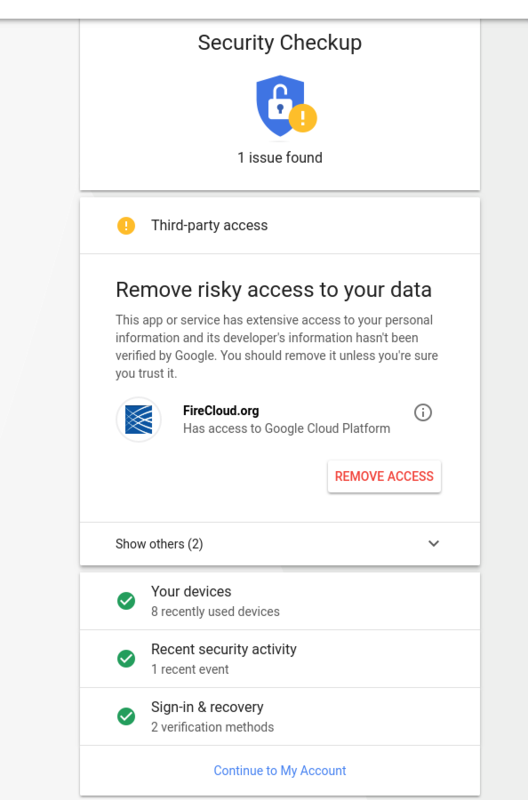 It was a google security email came from google itself. So this looks like a google issue. Hi! 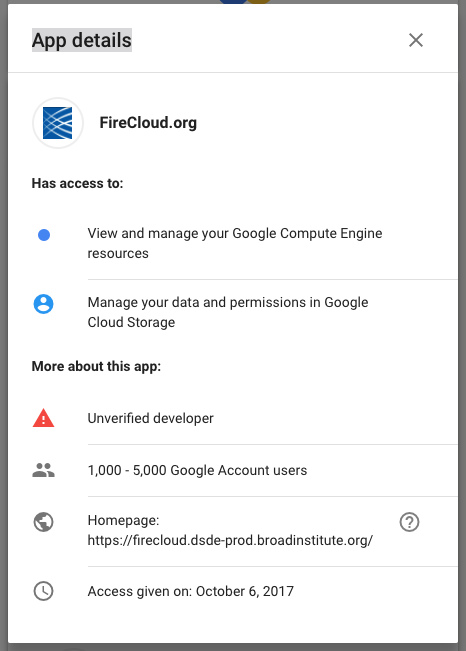 I'm the security head for Firecloud. Because apparently we ask for "advanced" scopes like control of your GCP Billing, they do some extra scrutiny. We have been working with Broad legal on creating one and should have it up soon, making the warning go away.